John Richard Brown, Jr., 98, of Fayetteville, Ga. passed away April 5, 2019. 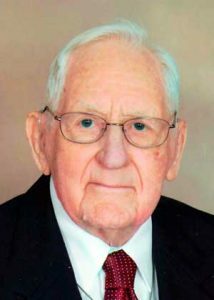 He was born on May 27, 1920 to the late John Richard Brown, Sr. and Odessa Hendrick Brown in Chattanooga, Tenn.
John served in the Navy from 1937-1957 where he earned the rank of Chief Machinist’s Mate. He was a veteran of WWII and Korea. He was a member of American Legion Post 24. John resided in Johnson City, Tenn. from 1957-2013. His civil career included Juvenile Court Probation Officer, and salesman for Ball Brothers Furniture and Sears. He was a caregiver for his mother, his mother-in-law, and his wife. John was a former member of First United Methodist Church, and attended Harrison Christian Church in Johnson City, Tenn. He was a member of Inman United Methodist Church in Fayetteville, Ga.
John was preceded in death by his wife Frances Lawing Brown; his son, John Richard Brown, III; step-granddaughter, Kimberly Hale; and his parents. He is survived by his daughters, Janet Hilten and Susan Hale (Alan Jr.); daughter-in -law, Sandy Zornija (Luka); grandchildren, Brian Ellis (Mary), Claire Starkey (Roger), Roger Hilten (Annie); great-grandchildren, Kevin, Jalen, Sam, and Lily Ellis and Andrew and Jessica Starkey, and Quinn Hilten; adopted great-grandchild, Dustin (Teresa) Graham; adopted great-great-grandchild, Katie Graham; nephews, John and Stuart Gildersleeve; and cousin, Mac Sutton. 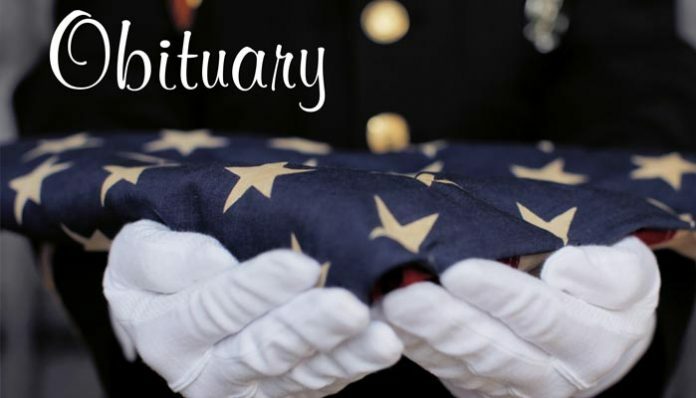 A funeral service will be held at 2 p.m. on Saturday, April 13, 2019 at Tetrick Funeral Home, 3001 Peoples St., Johnson City, Tenn. 37604, www.tetrickfuneralhome.com (423) 610-7171. The family will receive friends at 1 p.m. prior to the service at the funeral home. John will be buried at Happy Valley Memorial Park in Elizabethton, Tenn. The family received friends from 5-7 p.m. on Monday, April 8, 2019 at Mowell Funeral Home, Fayetteville, Ga. In lieu of flowers, the family requests memorial contributions be made to the Salvation Army. The family would like to express deep appreciation to the staff at Brightmoor Hospice. Carl J. Mowell & Son Funeral Home, Fayetteville, Ga. – www.mowells.com.